Researchers often ask us about learning Japanese, so I went to get advice from the local expert on that topic. 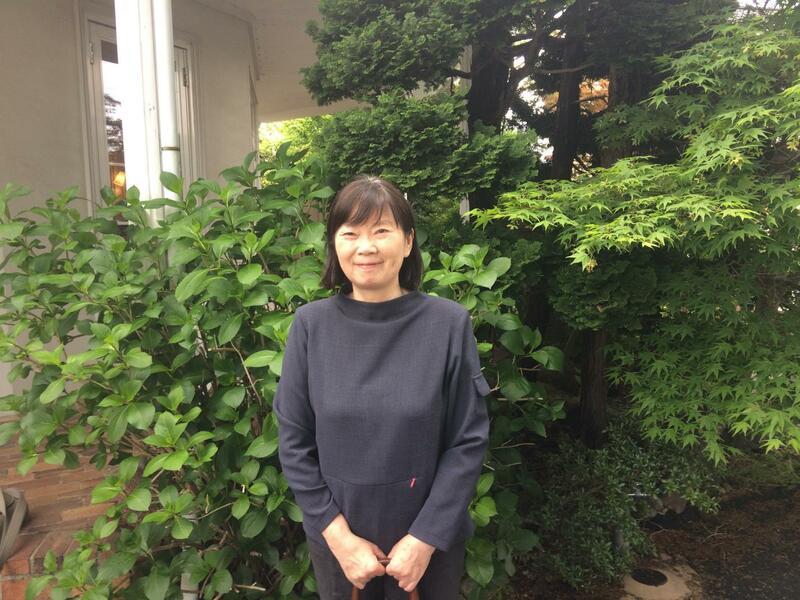 Ms. Minako Kato, aka “Kato-sensei,” has been teaching Japanese to learners from all walks of life for 34 years. She has been teaching Japanese around Oshu City since 1996. Minako Kato is from Oshu City and is 61 years old. 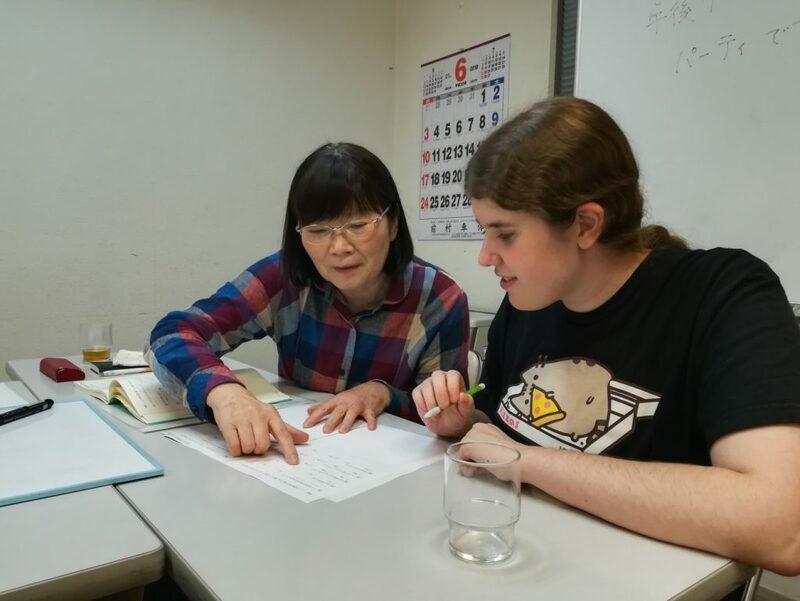 After teaching middle and high school students, she started her career as a Japanese teacher for non-native speakers to interact with people from other countries. She has been a Japanese teacher for 34 years. “When we meet the researchers, we can see what their situation is, what kind of Japanese each person needs to learn, and how they want to schedule lessons. During working hours is one possibility. During free time is another. We could match Japanese teachers with researchers depending on when and how often they can study: twice a week at night or something like that. 1:1 lessons or lessons with just a few learners would be ideal, like one teacher to two or three students. That way we can build up a relationship of trust and relax with each other, study without getting too nervous. It might be difficult to learn Japanese from friends or coworkers. If you’re working together, you could end up using the common language for that workplace for whatever reason. Do I think there will be enough Japanese teachers? We’ll need to see what the demand is. Not all researchers might want to study with a teacher. But I think the network of Japanese teachers throughout the prefecture can work together to meet their needs. We can work out a system. It might be fun for the researchers to come to Tuesday classes at ASUPIA (Mizusawa Regional Exchange Hall) once in a while, to meet and chat with other Japanese learners living in the community. We’re a very relaxed bunch, people attend when they want to, and our door is always open. I recommend learning hiragana and katakana before you come. It doesn’t take that long to learn and makes life a lot more convenient. You don’t necessarily need to worry about kanji yet, you can do that later. I’ve started to think recently that teaching hiragana is easier and more fun to remember if you just start making words and sentences from the beginning. For example, start with いす(isu, chair). Then switch to a verb, すわる (suwaru, sit). Then make a short sentence. いすにすわる(isu ni suwara, sit in chair). Then you can start to learn what words go with each other. Learning Japanese doesn’t need to start with a scary wall of text. We can start with words, easy sentences, about whatever you’re interested in or curious about. Your hobbies, your everyday life. Whatever makes you stop and think “what’s this?” Share that with your teacher and we can start lessons from there. Are you interested in studying Japanese in Oshu City or have any other questions? Please contact Oshu International Relations Association at yisasupia@catv-mic.ne.jp or 0197-22-6111.